We manufacture Wrought Iron security fencing, pool fencing and decorative fencing. Fencing can include Steel spear tops, or aluminum. For a complete package we can design and manufacture your wrought iron fence and gates, including automation of the gate using our automated gate opening systems. Many of our Wrought Iron Fences have featured in the “30 Luxury Homes” Magazine, as well as in other publications. 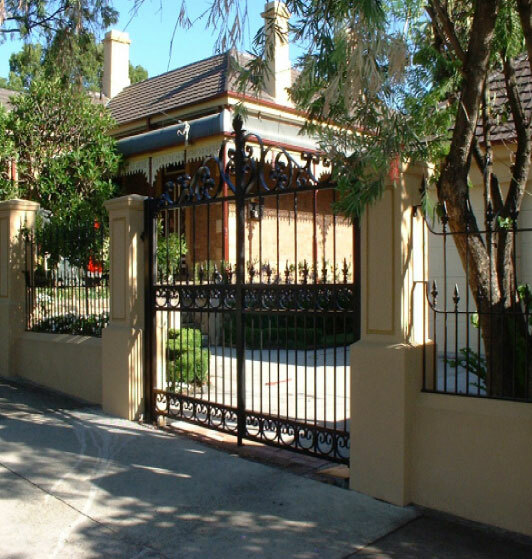 We design and manufacture wrought iron fences for homes and business's around Sydney, Including Western Sydney, The North Shore, Inner City, and South Sydney.